The Essential team has been doing bi-weekly AMAs on reddit, giving us a behind-the-scenes look at what it is they’re up to. In these AMAs, we have learned about when the White model was going to drop, what they were doing with the laggy scrolling, the status of Oreo, and a lot else. 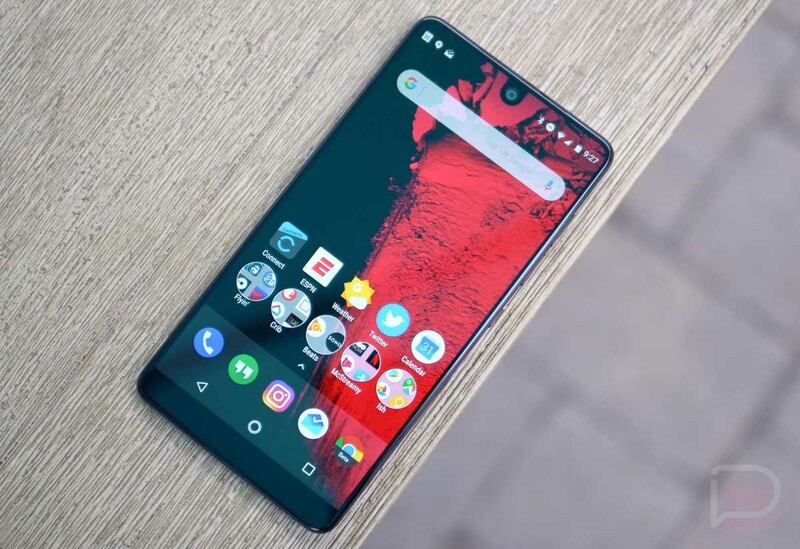 In this AMA, the Essential team talked more about the design and hardware of the device. They give answers about the next colors we can expect (still no Ocean Depths! ), why there’s no IP67 or IP68 rating, and why they don’t offer any 1st-party cases or bumpers. We’ve looked over the full AMA and have compiled a solid list of some of the best answers. ETA for the next color? To achieve IP67 or IP68 on this device unfortunately would have required some significant design trade-offs that were unpalatable for our first device: larger display borders, a thicker product, much larger receiver opening, to name a few… . To make a phone more waterproof + repairable takes space for sealing solutions. IP67 has been a resounding request from our customers. The good thing is, this give me more fuel to push on Linda for the next phone. DIY: Best way to approach self repair for battery and display? We use a fairly standard hot-melt glue to bond the display glass to the chassis of the phone. By heating up the perimeter of the display to ~85C the glue softens and the display can easily be pulled off (using a suction cup) and the glue removed, ready for a new display to be installed. It’s important to only heat up the perimeter and not the center of the display to prevent damage to the LCD panel. The battery is also pretty easy to remove and replace if done properly. After disconnecting the battery from the circuit board there are two pull-tabs for the standard stretch-release adhesive. Just like the stretch-release adhesive hangars you can use to hold stuff on your wall, you just grab the pull tab and pull straight up. Working with modern Li batteries is dangerous, however, so make sure you have the right safety equipment on-hand in case a mistake is made. We currently don’t sell parts to consumers but do offer a competitive extended warranty plan. Looking back, what would the team change about the phone? Nothing is ever perfect, but we tried to build the best product we can. I won’t give away any clues about what I would change now…because we are rolling it all into gen. 2! Why is there a small gap between the bottom of status bar and the bottom of the front camera cutout? We actually looked at removing that gap, but the end result felt awkwardly tight. The goal of having the camera float in the status bar is feel as if it’s just another icon, but once you cut the status bar into two separate bars, that no longer is the case. That resulted in two short status bars that felt too tight to be usable. 1st-party Cases? We want cases or bumpers or something! We are such a small team that we decided to hyper-focus on products where our crew can create truly unique devices that express genuine technological fortitude and push the envelope. In that context making plastic bumpers is not where we generate the most impact in the world of consumer electronics. What we’ve chosen to do instead is be super open with 3rd parties. I’ve been working closely with companies Incipio (and others) to ensure they have all the data they need to build nice product. They operate independently from us, but they’re fully Essential-empowered to build good stuff for ya’ll. So while we have encouraged those 3rd parties to build accessory-ready designs, that’s up to them. And that’s it! For the full AMA, hit up that link below.